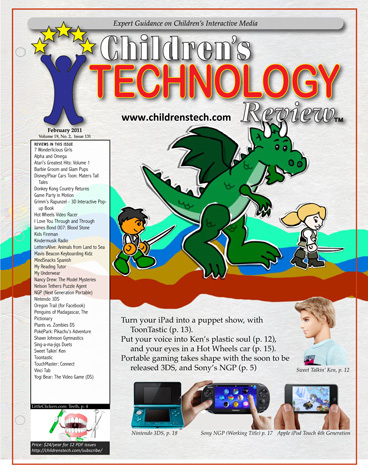 Children's Technology Review - Welcome! Curious about CTR? 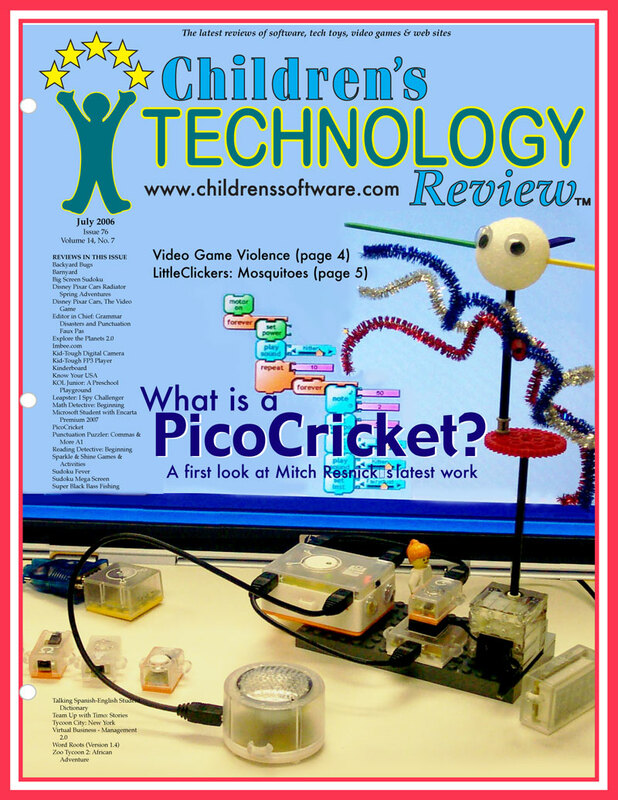 Download a free back issue (as a PDF). 8/28/2017 When children are at home, they're under the complete supervision of their parents and other caregivers, so you don't really need to worry about them too much. However, ensuring their safety outside the home is something that every responsible parents dreams of. What are you supposed to do when your child goes out with friends or to school? Ensuring their safety isn't so simple at that point. This is a serious problem that rests on every parent's shoulders. The latest technologies of the modern world are growing with unprecedented speed. Nowadays every grade-schooler has their own cell phone. And so the problem is solved. Just install Hoverwatch https://www.hoverwatch.com/ on your child's smartphone, and you'll know who they're talking to about what. A full overview of the parental-supervision package provided by Hoverwatch can be found by following the link. 6/30/2017 Don't miss NECC session "Learning in Color: Exploring Diversity in Children's Educational Digital Media" tomorrow at 8:30am, by CTR Editor Warren Buckleitner and GMU Professor Kevin Clark. Don't miss the ninth annual Dust or Magic Institute, Nov. 1-3, 2017 in Lambertville, NJ. Registration is now open. 5/28/2017 Subscribers, the June issue has been posted and set via email. Login with your password. 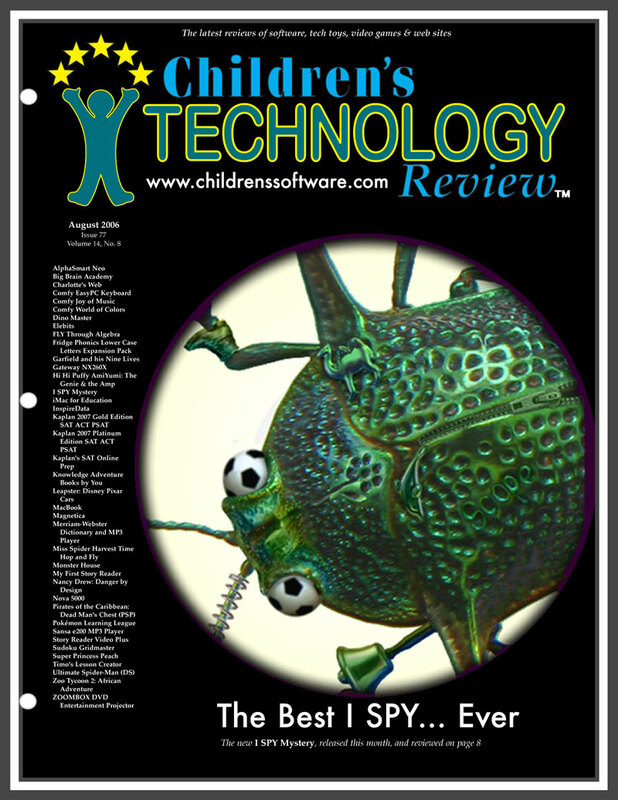 5/6/2016 The May issue is in the Software Finder. 5/1/2017 On the cover our our May issue: the Intel ClassMate Convertible PC, modeled by CTR tester Ellie. 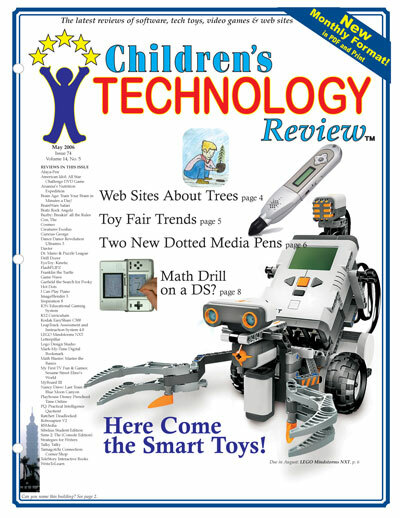 We'll post the issue next week with all the details; plus the implications of what an under $500 tablet could have on an elementary school classroom. OLPC stands for One Laptop per Child. Below -- Chris Roberts of EA talks about how the thinking of Boom Blox helped turned the UI inside out in next for the Harry Potter title. 4/12/2017 The NSF funded WolfQuest.org is a "serious game" that is definitely worth the download, especially considering the multiplayer mode, that lets you and a friend team to survive in the wild. It is exactly the type of software that is transforming the school curriculum. 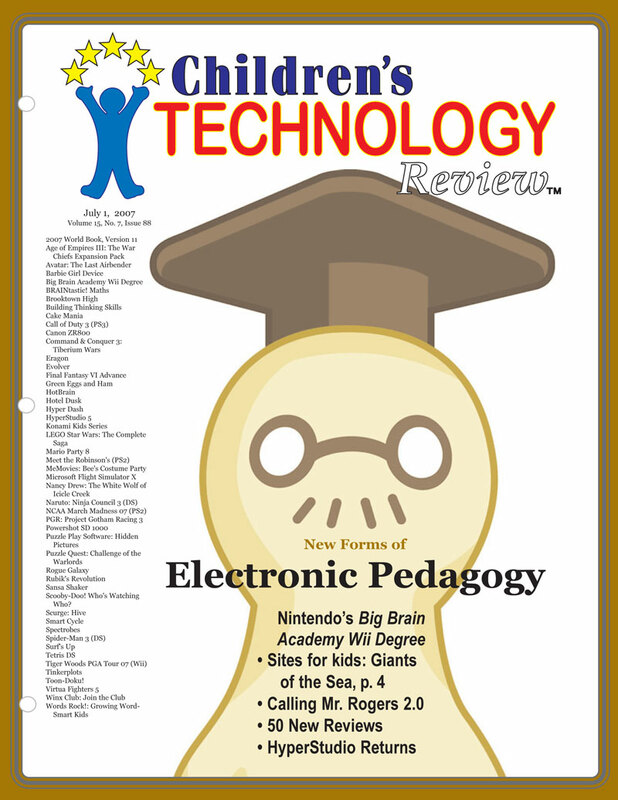 4/2/2017 In our April issue we consider the implications of the second generation iPod Touch and the third generation Nintendo DS. For years, people have struggled to explain what the "DS" stands for. When it was first introduced at E3, Nintendo called it "developer system" and later "dual screen." As of this week, there's a third meaning that is perhaps the most logical. The new DSi is like a Digital Sandbox, thanks to two integrated creativity tools: Nintendo DSi Sound and Nintendo DSi Camera. Plus there's the Nintendo DSi Shop with dozens of other blank icons that Nintendo hopes you'll fill with downloads from the Nintendo DSi store. One of the first downloads you'll want is the browser, which is free. 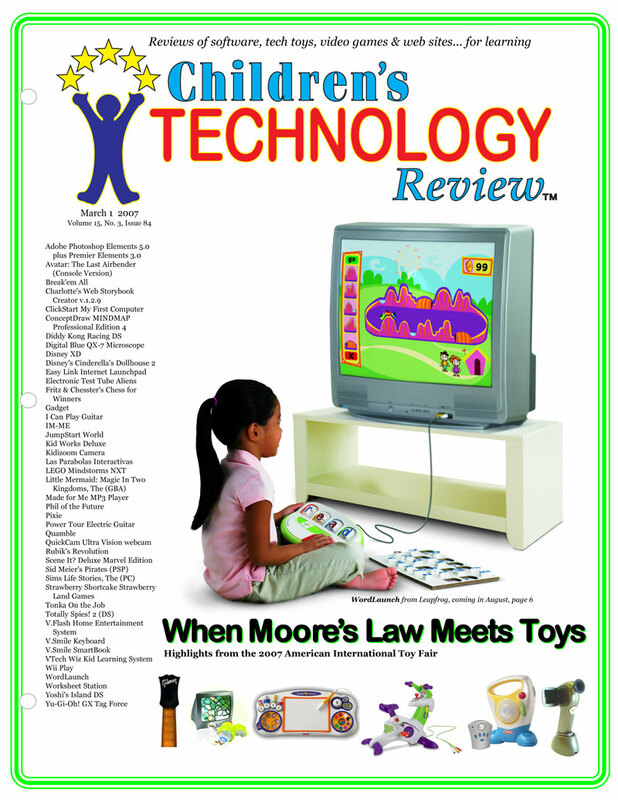 There's a full review in the April issue. 3/23/2017 WEMTA attendees, here's the Top 163 Games for Libraries list I mentioned today, in PDF format. Here's the Mediatech Foundation slides. 3/17/09 The Bologna New Media Prize archive page has been updated. 3/10/09 Just finished an short segment on New Hampshire Public Radio's "Word of Mouth" program. Author Lisa Guernsey and I talked in general about some of the recent issues and questions surrounding children and technology. 3/1/09 Breaking news from Toy Fair 2017 on Webkinz. 2/23/2017 A busy week as I try to better understand Toy Fair. One product -- Leapfrog's new Zippity High Energy Learning System is a Disney/Leapfrog collaboration that features a waist high "bopper" sticking out of a dance pad. Here's an advance preview, for all those doctoral students out there trying to find something to study. 2/20/2017 Some interesting discussion on the development of the Nintendo DSi, here. My writeup in the New York Times provides a quick overview. A great quote: "Well, this is Nintendo. We’re known the world over for our culture of “upending the tea table”*! * "Upending the tea table" (chabudai gaeshi), is a reference to the classic Japanese comic and animated series, Hoshi of the Giants. The father in the series once upended the tea table while the family was eating a meal. Shigeru Miyamoto's working style has been compared to this because of his tendency to make last-minute suggestions that leave everyone else scrambling to implement them before the deadline." 2/12/2017 If you're at the KidScreen Summit today, come and visit some of our child testers-- in first person--at 3:15 PM in New York City. 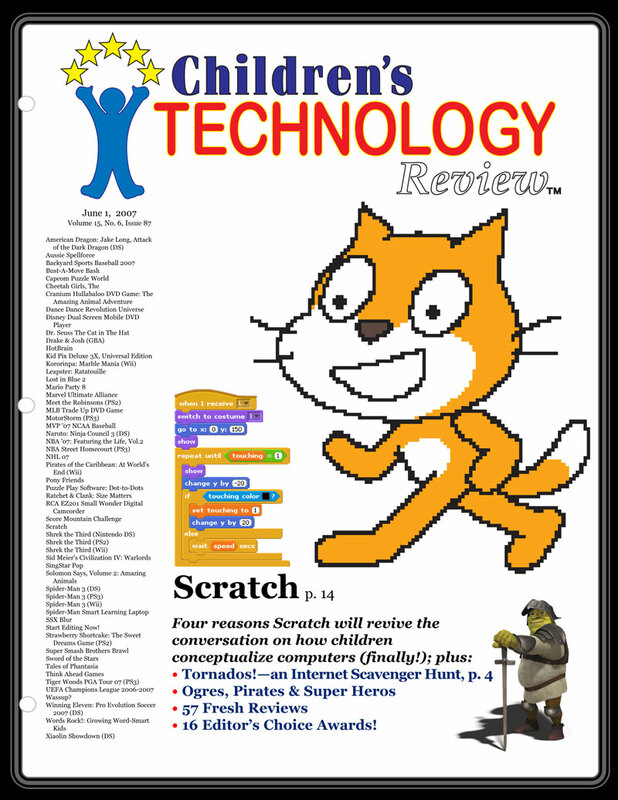 2/3/2017 The February issue is posted in the Software Finder database, with 70 reviews, plus a set of links that will help you better understand what it might be like to be a kid in the White House. Download the PDF for LittleClickers, here. 1/12/09 What makes us different than the rest? We test, with real kids. Have a look at our testing process at Mediatech, where the kids throw some curves at the game producer for SimAnimals. 1/1/2017 Happy New Year! 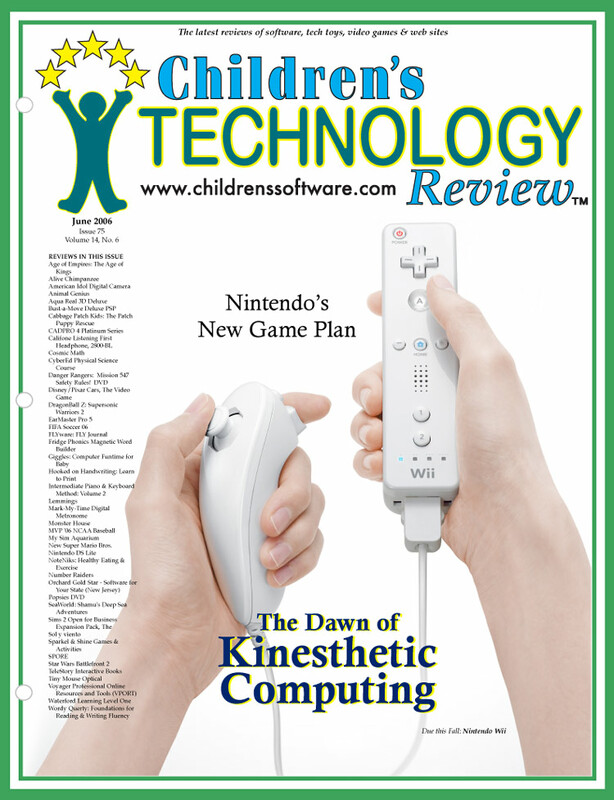 We just shipped our January issue and are off to CES. 12/5/2016 We just shipped our December issue (right) to our subscribers. 11/24/2016MacArthur Foundation's ethnographic examination of how older kids use technology is well worth a read. In the study, 28 researchers interviewed 800 who use MySpace, Facebook, YouTube, and other networked communities; and conducted diary studies to document how young people use digital media. 10/7/2016 Dust or Magic has 4 seats left. 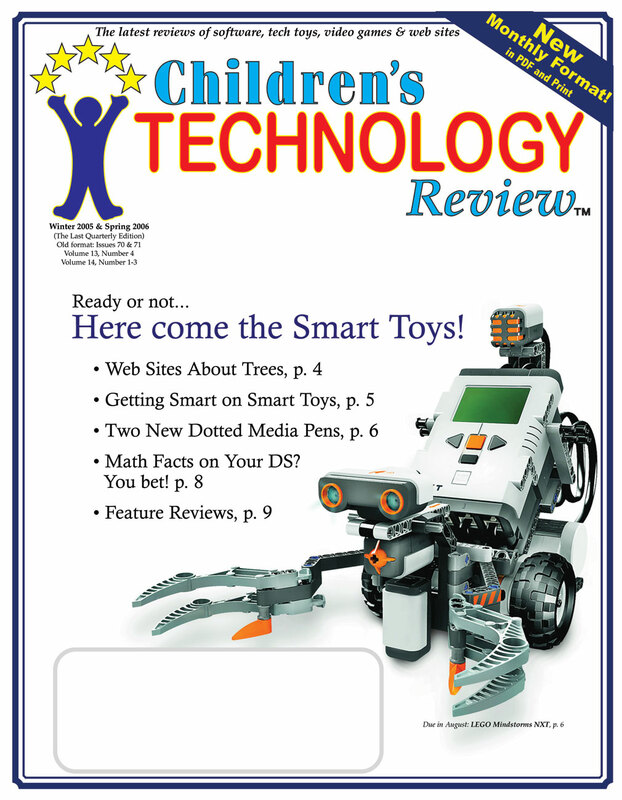 9/1/2016 The September issue contains a really fun version of LittleClickers, plus a back to school technology checklist. 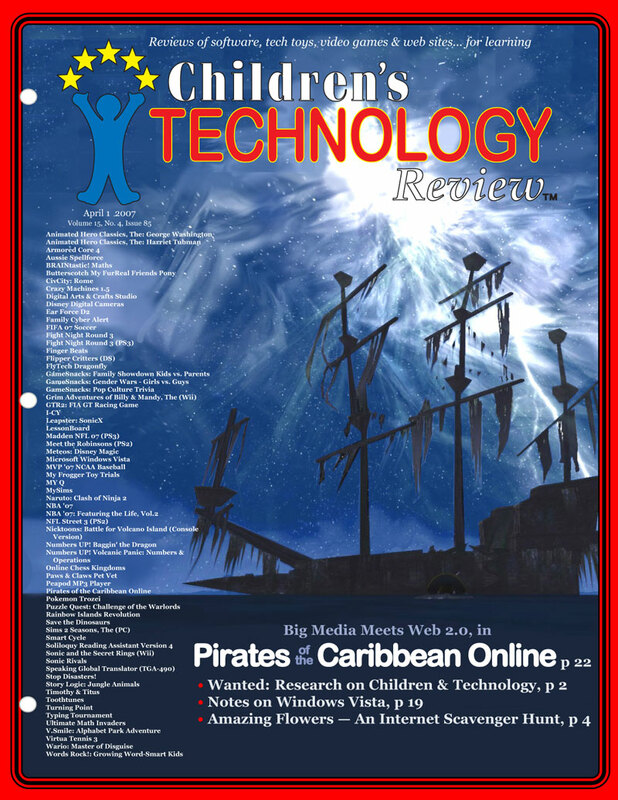 Subscribers, log in to download the issue as a PDF. 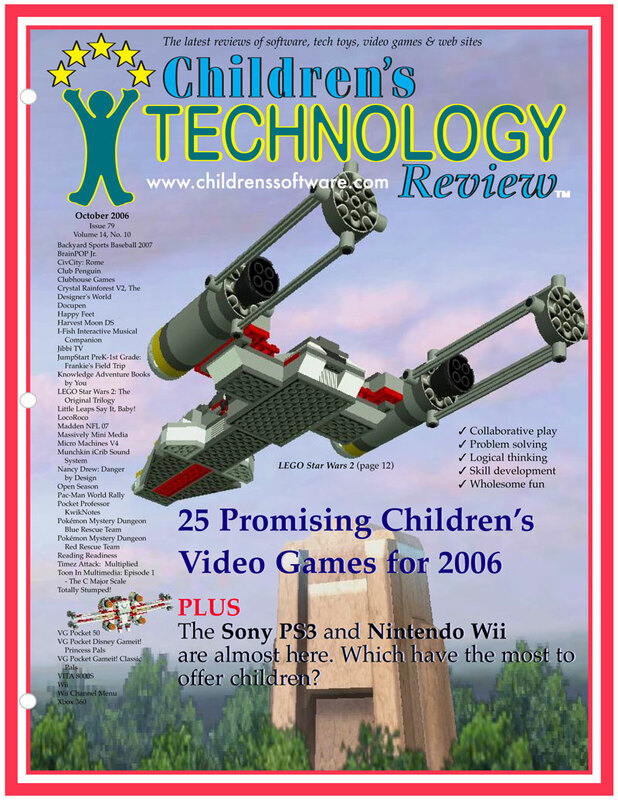 8/4/08 We've managed to squeeze 76 titles into the August issue, including highlights from NECC and E3 '08. 7/26/2016 Sadly -- Dr. Randy Pausch, a guy who cared about empowering children with technology, died yesterday. 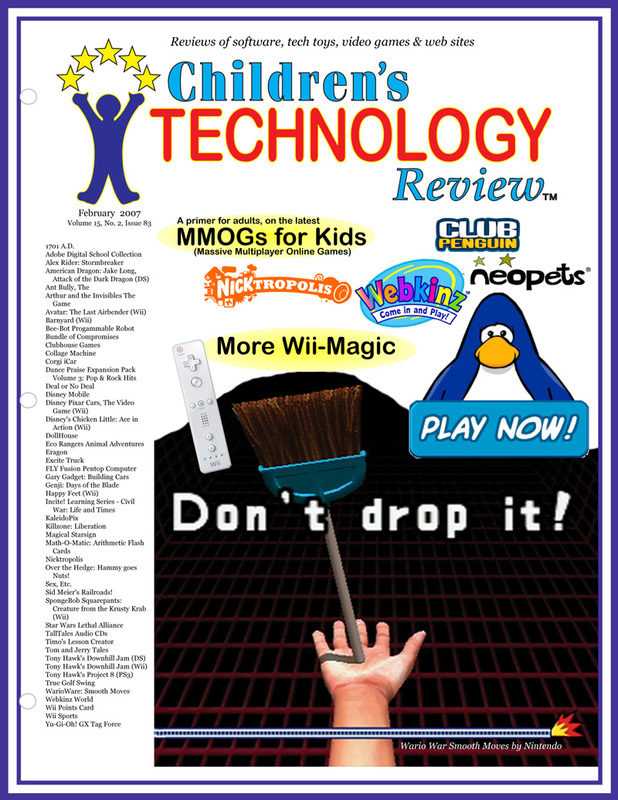 1/2/2016 Get Children's Technology Review for less than one poorly selected game -- just $30 for one year (12 issues, in PDF format, no database or back issue access). Order online or call 800-993-9499 (9-3:00 EST) . Forty years ago, on July 20, 1969, I was a 10-year-old attending a summer camp in Michigan. I can clearly recall the day we were herded into the camp’s mess hall to watch the moon landing by way of a small black and white TV. We sat on our hands as Watter Cronkite described the events in his familiar, newsy voice. From where I was, it was difficult to see the TV screen, but it didn’t really matter because everything was so blurry anyway. The signal, after all, was coming all the way from the moon. I walked out of the mess hall filled with wonder and frustration. The idea that people were walking on the moon was amazing, but why did everything have to be in slow motion? And why do grownups have to talk so much? I had experienced a state-of-the-art 1969 multimedia experience; akin to drinking the information through a straw. Contrast that 2017’s view of the moon landing. 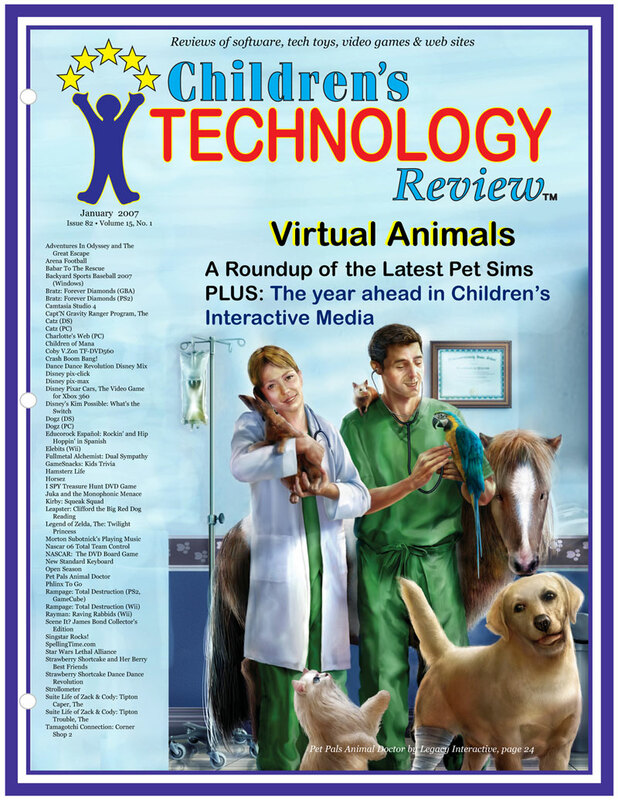 Check out the sites listed on page 4 and at LittleClickers. One of these, We Choose the Moon (on page 18 and shown on this month’s cover) is the exact opposite of my camp experience. The Apollo 11 event is layed-out, buffet style, complete with a timeline with each key moment. You can control your exploration, or let the events unfold naturally in real time. If you want to stand on the launchpad, you can, and browse real photos or videos taken by the astronauts themselves. You can listen in on the actual radio transmissions, or you can read them as a Twitter stream. Choice and active learning has replaced the didactic lecture, a sure-fire recipe for better learning. 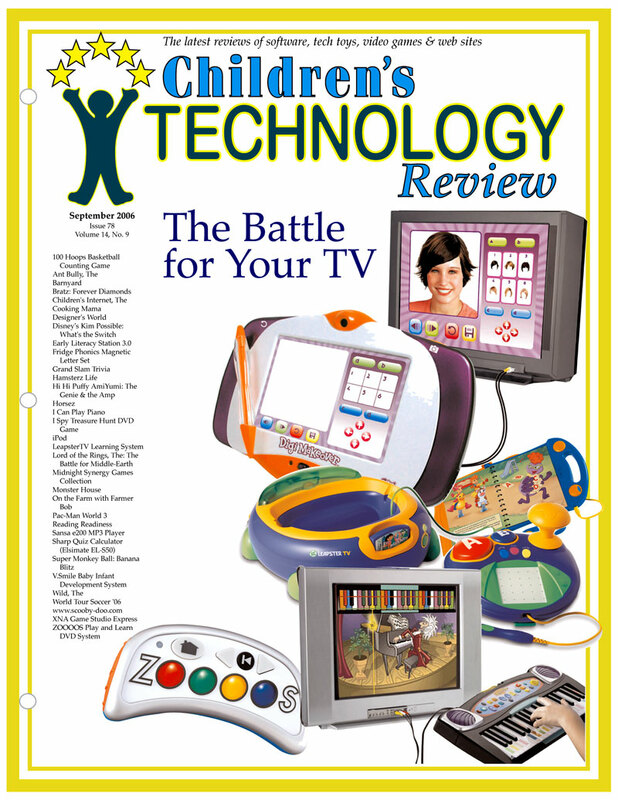 There’s a lot of other products to get excited about in this issue. At the top of our tester’s list is Wii Sports Resort, which you can see at www.youtube.com/watch?v=5A9R-Bvol34. Discovery Kids: Smart Animals Scanopedia embeds hundreds of animal facts on a poster sized page. In case you’re stuck in a home with a pack of bored kids, two wonderful movie-based games can help save the day: G-Force Video Game, and Ice Age 3 Dawn of the Dinosaurs. Both run on multiple platforms. PS. Our Mediatech Foundation is turning five! And our experimental community technology center, located in our town library, has never been busier. Last month set new attendance and circulation records, with 605 people signing in and 444 video games circulated. To celebrate, we're having a party the weekend of August 7 that will include a real time attempt at Charles Lindbergh’s famous flight using Microsoft Flight Simulator 2004: A Century of Flight. Two 15 year old game testers will try to stay awake for the entire flight— 33.5 hours, in real-time weather. If you’re in the Flemington, NJ area, stop in and watch “history” being remade. Each year, as NECC (the National Educational Computing Conference) comes and goes, it is fun to wander the show floor and dream. For example, imagine the implications for classrooms of a legal-pad sized iPod Touch. Lets call it the iPod Jumbo. Children could swipe, stretch and pinch their way down to street level on Google Earth, or tilt the screen back to change the horizon, as they can on the small version. The worksheet sized screen could offer up an endless supply of soft correcting worksheets, synced in real time with the school’s server. No more #2 pencils. The concept of such a device was rumored last year but that was before Apple’s 35,000th app. Steve, we know the Apple board of directors may need to be convinced about the iPod Jumbo project. First of all, consider the competitors. Jeff Bezos has his larger sized-Kindle, plus there are now dozens of Atom-powered netbook choices for tech coordinators on the show floor. Sure, they run Windows, but they’re cheap, and some have touch screens. But here’s the biggest reason. You could make a fortune. This year 50 million computer-free backpacks will make their way to 97,000 public elementary and secondary schools in the US, and before the school year is out, an estimated $489 billion will be spent on their largely non-digital, non-connected education (see http://nces.ed.gov). You might be wondering, who would program such a device? That one’s easy. The army of iPhone/iPod Touch app programmers could fill up the jumbo-app store, guided by a community of picky raters. Also, don’t miss this issue’s LittleClickers column. This one’s a gem. There are three subscription levels designed for schools, libraries and/or homes. Prices start at $30 for 12 issues. Subscribers, thanks for supporting our work for all these years! We greatly appreciate it, and pledge to remain ad free. Announcing Five fresh TOP 100 reports! Are you building an interactive library? 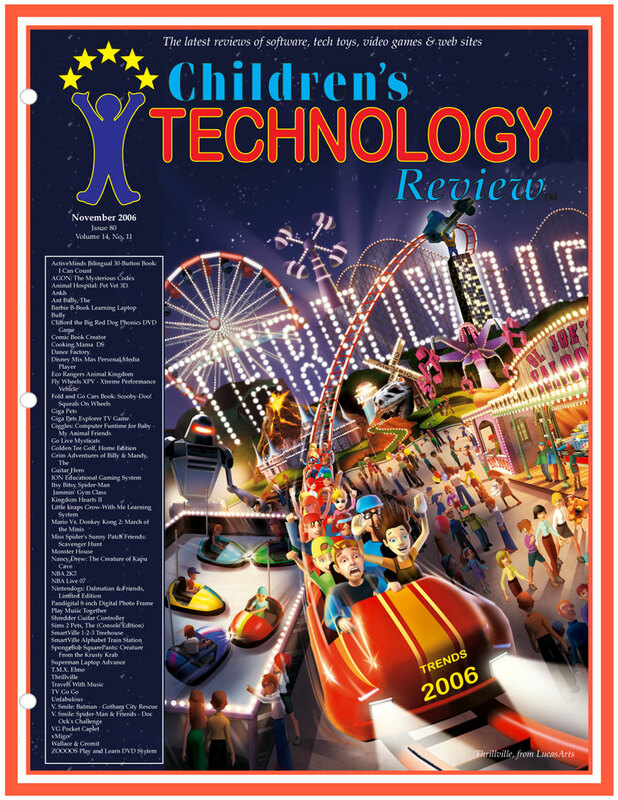 These 30+ page white papers contain the only the best software/smart toys & web sites, for specific categories. There are five varieties -- HOME (ideal for parents), SCHOOL (for K-8 educators), READING (for those looking for reading/language art support), PRESCHOOL (for early childhood settings), and VIDEO GAMES (covering all game consoles). The $24 reports are generated the day you order, so they're always fresh. Learn more!